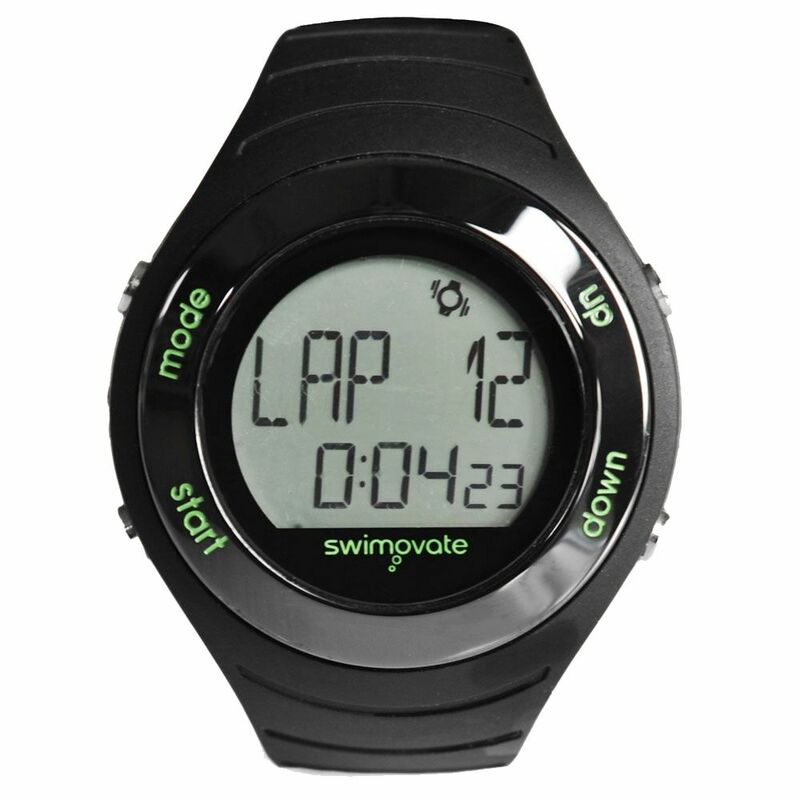 Using your arm movement the Swimovate Pool Mate Live swim watch will measure all the essential data of your swim including speed, distance, number of laps and strokes, calories burnt, stroke length, strokes per minute and efficiency. This premium watch will vibrate when you complete the number of laps, time or distance that you choose, and its chrono mode makes it suitable for use in other activities. The large display characters make it easy to read when wearing goggles, and the sleek-looking, durable watch can be worn for everyday use as well. Use the optional download clip to analyse and store the data after each swim to monitor your progression. for submitting product information about Swimovate Pool Mate Live Swim Watch We aim to answer all questions within 2-3 days. 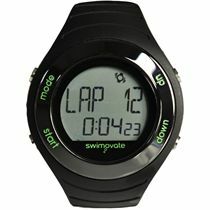 for submitting product information about Swimovate Pool Mate Live Swim Watch. We aim to answer all questions within 2-3 days. If you provided your name and email address, we will email you as soon as the answer is published. Can the watch be set to vibrate every 100m? but at the same time vibrate after 30 mins? The watch can only be set to one setting either to vibrate every 100m OR after 30 minutes. You cannot set it up to do two things. Very useful watch which is easy to read and to scroll through information. It is also easy to set up. Attractive watch which is great in the pool. Recommend the product and the supplier. The watch arrived before it was expected and in good order. I would buy from this company again and recommend to my friends. Works well. Easy to read. 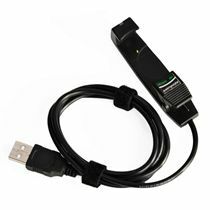 Buzz "alarm" useful to get a signal every N lengths (10 in my case). Knowing the laps are being counted for me stops me losing count of laps and getting fixated on counting myself and hence on distance, so I relax and swim better. This is a really nice swimming watch. It's well made, simple to use and looks good on your wrist. Its robust yet elegant in its simplicity, an ideal leisure / swimming watch for day to day wear. I also would like say that the customer service was very good and prompt. My watch arrived the following day. I'm very happy with it. .
for submitting product review about Swimovate Pool Mate Live Swim Watch.